10 Best Comedic YouTubers Under 20 Who Are Killing It! In today’s age of “instant celebrity status,” it’s hard to tell who’s got real talent anymore! With technology, the competition to stand out is getting even tougher, so those wanting to gain fame must step up their game. Social media outlets like YouTube, Vine, Facebook, and Instagram have made it easy for aspiring artists to showcase their talent on a platform that can reach the masses. With the Internet connecting us all within seconds, anyone now has the ability to show the world their stuff, without even leaving their homes! But with the ability for just about anyone to become a viral sensation overnight, the window to stand out gets smaller. We’ve hand selected a few of the top names in young talent that are bursting onto our screens in a big way. They may be small, but their talent is huge, and each one of them has the ability to become an international star. If you haven’t heard names like Matty B or Tanner Fox, you’re going to want to sit back and soak up the talent oozing from these incredible kids! Did we mention they’re all under the age of 20? With followings as big as 8 million, we’re bringing you our list of the 10 Best Comedic YouTubers under 20, who are absolutely killing it! 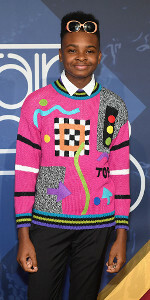 Jay Versace is a funny guy, who can sure make people laugh! Check out this comedian’s videos on YouTube, and you are sure to have a good time. Versace was born on January 24, 1998 in Pleasantville, New Jersey, and is 19 years old. He got his name “Versace” from one of rapper, Rif Raff’s Vine videos, where the rap star was feeding his dog “Versace water.” People love his hilariously candid videos, where he smooth talks for minutes about topics that interest teenagers. He found a lot of support from his fans when he came out about his sexuality. Versace came out saying that he is not attracted to any specific gender. He said, “I love people in general, idgaf what gender you are…There it is …Hate me for it…idgaf Love me for it…Love me more.” Coming out has made Versace feel good about himself and has made him a role model for other teens struggling with their sexuality. Versace says he is attracted to intelligence more than anything. He says that his biggest inspiration is his family, and his biggest supporter is his mother. She doesn’t mind Versace impersonating her and thinks his one-man skits are fantastic. Clearly, so do hundreds of thousands of other people! Carson Lueders is just 15 years old, but already a huge online star. His singing has made him famous, and he has accumulated a large number of fans thanks to his incredible music and videos. Lueders was born on July 26, 2001 in Spokane, Washington to his parents, Jon and Diane Lueders. Lueders has a sister named Olivia and a brother named Jackson. He started out by covering Justin Bieber songs and promoting them through his YouTube channel. Even though Lueders covered artists like Cody Simpson, he developed a reputation for covering songs by country singer, Keith Urban. His own career took off when he released a song and music video called “Beautiful” in 2014. He then released an EP called All Day in 2015. Lueders started playing the guitar when he was just four years old. After noticing his interest in music, Lueders’ parents sent him for music lessons and encouraged him to perform. Lueders started performing at local churches, school talent shows, parties, fairs and charity events. By the age of 10, Lueders was performing on the radio and was featured in newspapers. When he is not singing, Lueders loves to play basketball and football. He is also fond of wakeboarding, tubing and jet skiing. Nik Keswani, popularly known as “Big Nik,” has a big heart. Even though he suffers from a rare form of dwarfism, which left him stunted and blind in one eye, Big Nik hasn’t let that deter him. In 2013, he was undergoing a series of surgeries on his legs, hips, and ankles, and was in a lot of pain. Instead of moaning over his troubles like most people would, Big Nik started making videos to make himself and others laugh. He also started a PEOPLE web series about his family. Big Nik was born on September 11, 1998 in Boca Raton, Florida, and first gained fame on Vine. He collaborated on a video with fellow Vine stars, Brent Rivera and Jake Paul in May 2014. Big Nik has been featured in publications like People magazine, LA Times, Vogue and MTV News. He has also won an award at the Social Slam Selfie Event. Currently, Big Nik is studying film at college in Los Angeles, California. He wants to better edit his videos and make people have fun watching them. Big Nik’s sister recently came out as transgender, and it was tough for him to answer questions about her. Now, Big Nik is more comfortable answering questions about LGBT issues and his transgender sister. You can’t help but fall in love with his adoring personality, which is probably why he’s gained such immense popularity online! Johnny Orlando is just 14 years old, but he already sings and performs like a professional pop star. Orlando was born on January 24, 2003, in Mississauga, Canada to his parents Meredith and Dale Orlando. He has two elder sisters named Darian and Madison, and a younger sister named Lauren. Orlando is a singer and YouTuber, who has his own channel named “JohnnyOsings.” He has covered songs by hit artists like Rihanna, Justin Bieber, and Austin Mahone. Orlando started singing when he was eight years old and has created music videos with the help of his elder sister Darian. Orlando has also created videos for some of his original songs like “Replay,” “Summertime,” “Never Give Up,” and “Found My Girl.” On YouTube, Orlando has appeared in commercials for companies like Cadbury and Nutella. He has also acted in films, and one of them named Bunyan and Babe is scheduled for release in 2017. Orlando released his debut EP titled VX11XI in December 2015 and one it’s singles, “Let Go” became a big hit. Orlando has big plans to be a world-famous singer and actor, and he sure is on the right path! Matthew Espinosa is an average teenage boy, with one big difference. His Vine account has 1.6 million followers, while his YouTube channel subscribers have surpassed more than 2.1 million. Why are people so crazy about this kid? Espinosa talks about things that any normal teenager can relate to, like friends, girls, movies, and all the things he finds annoying in school. He even pokes fun at his parents sometimes, also something most teens can certainly relate to. It looks like most of Espinosa’s fans are girls, which is no surprise because he’s super cute and bears a passing resemblance to Justin Bieber. Espinosa jokes about the things that teenagers have to endure (like when your mother makes you stand in line for her while grocery shopping), and the hysterical situations that teens can relate to, whether it’s to do with school, family, or friends. He spends time goofing around with his friends and uploading their antics to YouTube, whether it’s things like eating baby food, pulling pranks on each other or attempting things like “the cinnamon challenge.” He uploads the videos and the likes start pouring in! One time, Espinosa organized a meet and greet near his house at a mall, and that brought out so many of his fans and created such a frenzy, that the police had to be called! 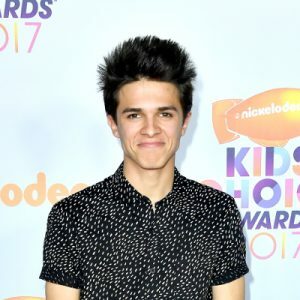 Brent Rivera is a talented comedian, who makes people laugh with the funny videos he uploads on his YouTube channel. 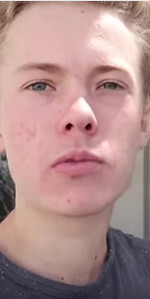 He was born on January 9, 1998 in Huntington Beach, California, and has become a social media star across multiple platforms. He created his YouTube channel in 2009 and his Vine channel in 2013. He started acting when he was just 11 years old, and it has always been his dream to entertain others. He has two brothers, Brice and Blake, and one sister, Lexi. He makes videos with himself and his friends that are hilarious and guaranteed to make you laugh. Check out his “Roadtrip” video, where one of his friends constantly badgers him so that he can go pee! But Rivera is not all jokes all the time. He worked on a campaign with Michelin to help raise awareness for tire safety. Tanner Fox is a professional stunt scooter rider, who performs amazing stunts for his viewers who love watching him. He was born on December 22, 1999, so that makes his age just 17 years old. 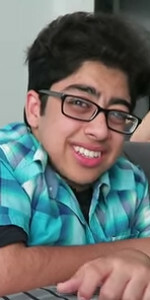 He is studying in San Diego High School in California and was bitten by the YouTube bug at quite an early age. He began filming his videos in 2011 and uploading them to his own YouTube channel. When he was 11 years old, he was kicked out of the private Catholic school he was attending for creating and uploading videos while he was in class! Today, Tanner Fox is one of the biggest names in the sport of freestyle scooter riding and has more than 4.4 million followers on YouTube. Fox loves to upload videos of himself skateboarding with his best friend, Jake Angeles. His videos generate an estimated revenue of $3,000 per day, which works out to about $1.1 million per year. Currently, his net worth is $1.2 million and is sure to grow. Matthew Morris is an American children’s artist known for posting remix videos of popular music on YouTube. He is better known as MattyB or MattyBRaps, and since he began his career in 2010, he has released many covers and remixes of mainstream music. 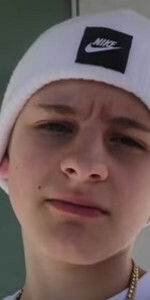 MattyB was born on January 6, 2003, in Duluth, Georgia, USA and he released his first song with original lyrics, a remix of “I Believe In You.” He has posted over 90 covers and 20 original songs on his YouTube channel. On August 1, 2014, MattyB’s YouTube channel surpassed one billion views. He has released an EP of four original songs on Youtube called Outside the Lines. Thanks to his huge popularity on the video sharing site, MattyB has made appearances on several TV shows such as Today, The Wendy Williams Show, Dr. Phil and the Queen Latifah Show.